LONDON — European stock markets edged higher Wednesday after the Italian government indicated that upcoming deficits will be lower than originally thought. KEEPING SCORE: In Europe, the CAC 40 in France was up 0.6 percent at 5,499 while the FTSE 100 index of leading British shares rose 0.6 percent to 7,516. German markets were closed for a holiday. U.S. indexes were poised to open higher with Dow futures and the broader S&P 500 futures up 0.3 percent. ITALY'S SPENDING: Italy's economy minister backed down on spending plans that would keep the country's deficit at an elevated level for three years. Giovanni Tria said the deficit-to-GDP ratio would be gradually reduced after hitting 2.9 percent in 2019. ANALYST'S TAKE: "This follows a week in which the populist coalition government has embarked on a collision course with Brussels over its spending plans, as both parties attempt to stand by election pledges on spending and tax cuts while staying within the euros budget rules and not spreading panic among investors," said Craig Erlam, senior market analyst at OANDA. "After it was initially reported that the budget deficit would be 2.4 percent next year, investors bolted for the exits as this both exceeded expectations and was likely to be very problematic." US DATA: It's a busy data week all round the world this week, culminating Friday with September's U.S. nonfarm payrolls report. On Wednesday, the ADP private payrolls report could provide a steer to the official data on Friday. 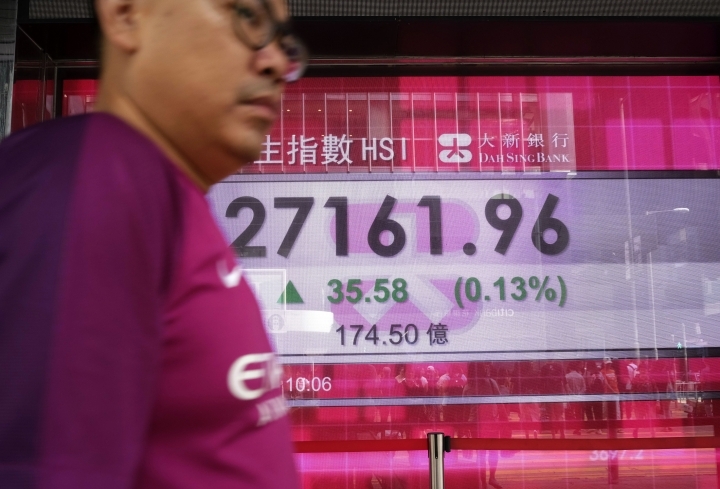 ASIA'S DAY: In Asia, traders were spooked by rising oil prices and lackluster Japanese data. The jitters were particularly evident in emerging markets that import oil. Japan's benchmark Nikkei 225 fell 0.7 percent to 24,110.96. 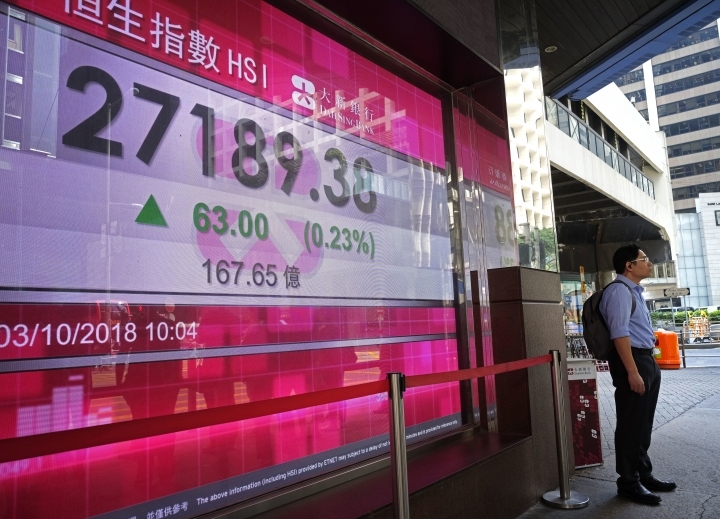 Hong Kong's Hang Seng dropped 0.1 percent to 27,091.26. Australia's S&P/ASX 200 gained 0.3 percent to 6,146.10. ENERGY: Benchmark U.S. crude fell 7 cents to $75.16 a barrel in electronic trading on the New York Mercantile Exchange. Brent crude, used to price international oils, was down 20 cents at $84.60 per barrel. CURRENCIES: The euro was flat at $1.1547 while the dollar rose 0.2 percent to 113.84 yen.